The most important kitchen decision is likely the type of material to use for your kitchen counter-top. Not only it has to look great with your kitchen cabinets, you’ll also want a kitchen surface that suits your usage patterns and cooking styles. As importantly is the ease of cleaning and maintenance which again is a factor that’s directly influenced by the amount of use and beating your counter is going to see. 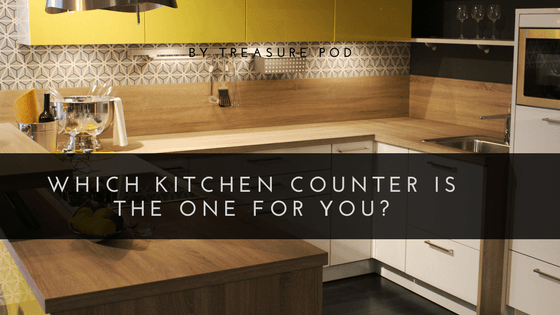 Let’s breakdown the characteristics of the four most popular counter-top materials to help you choose one that works best for your new shiny kitchen!